Roscommon put themselves within touching distance of promotion following a hard-fought victory against table toppers Cavan at Dr Hyde Park. 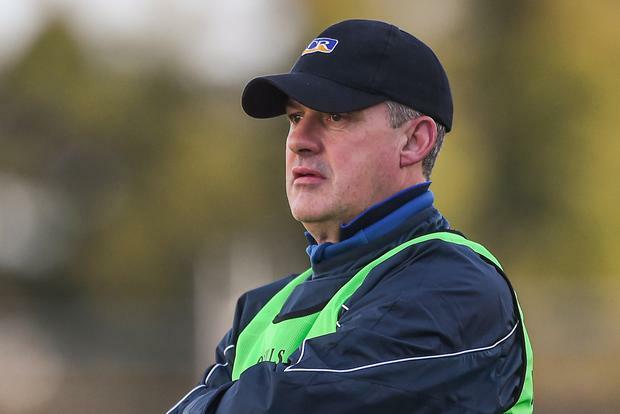 A victory against Cork in their final match will guarantee the Rossies a swift return to Division 1, a prospect that satisfied manager Kevin McStay. He said: "It's us that dictates what happens now and it's lovely to be the masters of our own fate coming into the last game. "There was a lot of character shown today." Cavan made a whirlwind start and established a 0-5 to 0-1 lead after 12 minutes. Roscommon gained a foothold with points from Murtagh and corner-back Fergal Lennon. But Gearoid McKiernan's 25th minute effort left the Breffni men in pole position, leading by 0-6 to 0-3. However, the home side finished the half like an express train. Donie Smith got the ball rolling with a point from an acute angle before Diarmuid Murtagh (2), Conor Devaney, Ciarán Lennon and Ciaráin Murtagh (a free) handed the Rossies a 0-9 to 0-6 interval lead. It was all to play for, and both goalkeepers were called into action in the second half. Roscommon's bench made an impact as Enda Smith and Cathal Cregg kicked points in quick succession. When Galligan stroked over a 54th-minute '45', followed by Johnston's lead effort, Cavan looked to have done enough but a rallying finish, inspired by Murtagh, tipped the balance in the Rossies' favour. Scorers - Roscommon: C Murtagh 0-5 (3fs), D Murtagh 0-3 (1f), D Smith 0-2, F Lennon, C Devaney, C Lennon, E Smith, C Cregg 0-1 each. Cavan: G McKiernan, C O'Reilly (3fs) 0-3 each, C Brady 0-2, A Cole, C Mackey, M Reilly, R Galligan ('45'), S Johnston 0-1 each. Roscommon - J Featherston 7; D Murray 6, P Domican 8, F Lennon 7; R Daly 6, B Stack 7, N Daly 6; T O'Rourke 6, C Compton 7; C Murtagh 9, N Kilroy 6, C Devaney 7; D Smith 7, C Lennon 6, D Murtagh 7. Subs: E Smith 6 for O'Rourke (53), C Daly 5 for R. Daly (53), C Cregg 6 for C Lennon (51), U Harney 5 for C. Daly (61, b/c), F Cregg 5 for D Murtagh (65). Cavan - R Galligan 7; J McLoughlin 6, P Faulkner 7, C Brady 7; M Reilly 7, E Flanagan 6, C Moynagh 5; G McKiernan 8, K Clarke 7; C Bradley 6, B Magee 7, O Kiernan 6; C O'Reilly 6, D McVeety 6, A Cole 6. Subs: C Mackey 6 for Moynagh (26), D Brady 6 for Cole (45), S Johnston 5 for O'Reilly (60), N Clerkin 5 for Bradley (65), S Murray 5 for Magee (70). Ref - C Reilly (Meath).